"Premium" wall styling unit for men with 2 working places. 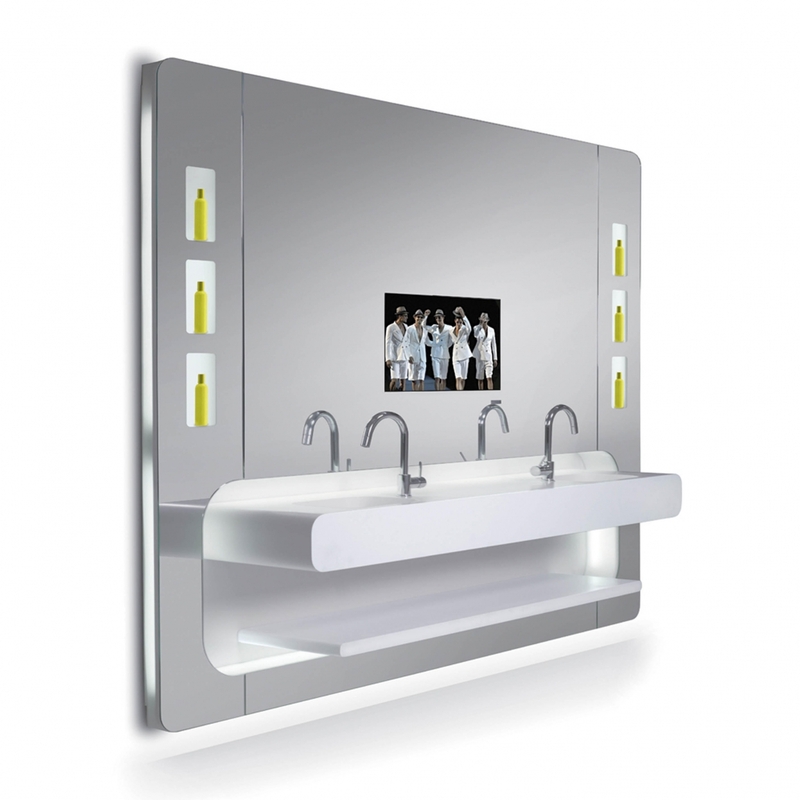 Long top shelf in corian, with 2 integrated sinks. Flat TV screen 32". Product displayers "screen effect" on both sides.